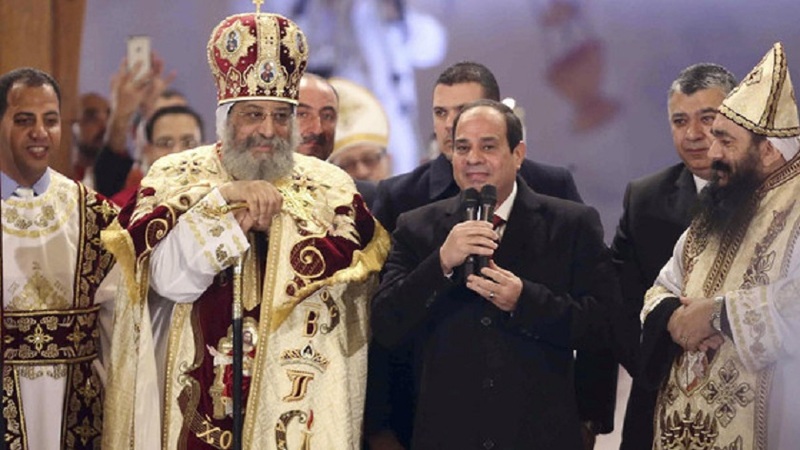 Last night on Christmas Eve according to the Coptic Orthodox calendar, President Abdel Fattah al-Sisi became the first ever Egyptian head-of-state to attend the holiday mass. His appearance lasted for about ten minutes, during which he gave a short speech. The video selection and translation is provided kindly by Paul Attallah. Sisi: We love you too! I thank you because frankly the Holy Pope will be upset! It’s important that the whole world watch us: the Egyptians. Nobody says: what (type of) Egyptian are you? and to teach the civilization once again. It is certainly a historic occasion. Merry Christmas to all Egyptians.